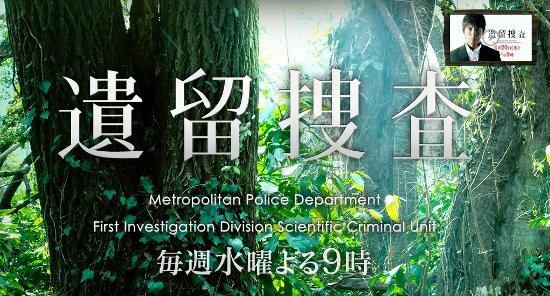 At the Metropolitan Police Department First Investigation Scientific Criminal Unit lead investigator Satoshi Itomura (Takaya Kamikawa) leaves no stones unturned at crime scenes to apprehend the perpetrators. Rookie investigator Miyuki Oda (Shihori Kanjiya) doesn't seem cut out to be a detective, but possesses a keen sense to gather information from crime scenes. Miyuki Oda learns from Satoshi Itomura the ins and outs of detective work as they tackle difficult cases.